2019 marks the SPAB’s 142nd anniversary. The Society came into being as a result of the publication of a letter from William Morris in the Athenaeum on 10 March 1877 and it held its first meeting on 22 March 1877. Over the years it has built up a considerable archive which includes over 16,000 case files documenting the individual buildings and structures that it has been involved with since its foundation. These can contain correspondence, photographs and plans providing valuable information about how a building has changed, or not changed, since it was built. The archive also contains a file on the SPAB’s 80th anniversary in 1957 which includes telegrams sent by supporters. These colourful telegrams had been introduced in Britain in 1935 as a decorative format for special occasions, and were intended to counter the negative associations telegrams had acquired in the First World War. The telegram pictured – evidently sent by a cricket fan – has architectural details which are appropriate for the Society, and just as the marching band parades in the foreground, the British Army brass band provided entertainment at the SPAB's 80th anniversary celebration which was held at St James's Palace on 21 March 1957 and hosted by Viscount Esher, the SPAB's chairman at the time. 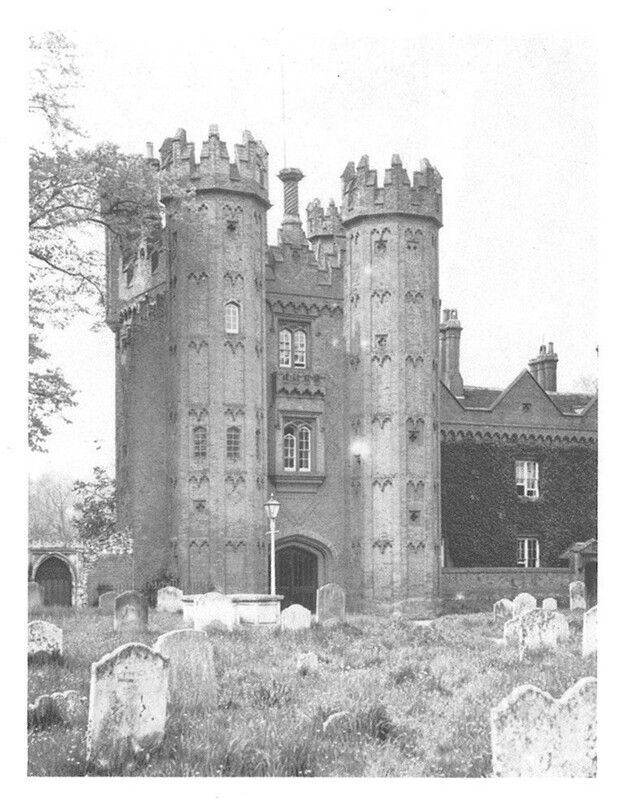 The SPAB’s centenary was also celebrated in style with a programme of events throughout the year including a garden party held at Euston Hall, near Thetford on 5 July 1977 at which Queen Elizabeth The Queen Mother was announced as Patron of the Society. Earlier in that year a wreath had been laid in Kelmscott Churchyard in memory of William Morris and the programme culminated in a Banquet at Whitehall. Of course, exhibitions, courses and conferences featured prominently on the programme amid the parties, and a booklet was published on the history of the Society which highlighted some important casework undertaken, for example, The Gate House and Deanery, Hadleigh, Suffolk and The Red Hall, Bourne, Cambridgeshire. To borrow the cricket analogy from our telegram correspondent - we haven't stopped, and we keep on hitting so we’d better start planning for our 150th anniversary!